Bark Psychosis is a band from Waltham Forest, East London. Graham Sutton is the core of the group, supported by a dynamic roster of musicians. The line up for the seminal album "Hex" was Graham Sutton, Daniel Gish, John Ling, and Mark Simnett. Current members include Sutton, Colin Bradley, Lee Harris (formerly with Talk Talk), and others. Formed as a Napalm Death cover band when Sutton, Ling and Simnett were in their teens, they released several singles and EPs from 1988 to 1994. The band then released their first album Hex in 1994. Embedded in lush electronic sampling and textures, and accented with electric guitars, piano, and a string quartet, they developed a singularly unique and varied sound. 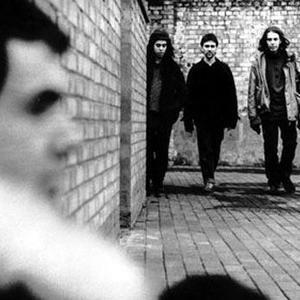 Simon Reynolds of The Wire coined the term post-rock to describe Hex for "using rock instrumentation for non-rock purposes, using guitars as facilitators of timbres and textures rather than riffs and power chords." Gish and Ling both dropped out as a result of the stress associated with making the album, and Simnett followed later. Graham Sutton went on to record a drum and bass record under the name Boymerang. After a ten-year hiatus, Bark Psychosis returned with "Codename: Dustsucker" in 2004, which featured an entirely new line-up, including ex-Talk Talk drummer Lee Harris in the place of Simnett.